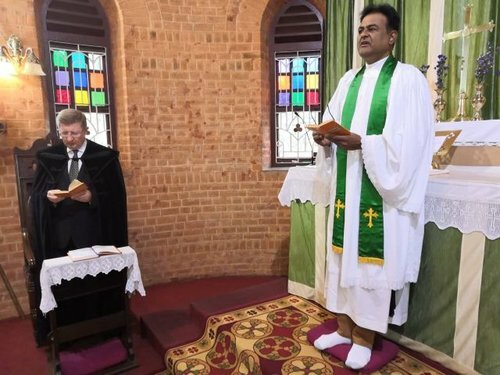 The relationship between the Church District and Karnataka Northern Dioceses of the Church of South India started a few years ago, in South Korea, when the South Korean Presbyterian communities celebrated their 100-year anniversary. In commemoration of this occasion, a Hungarian Reformed representative, Rev. 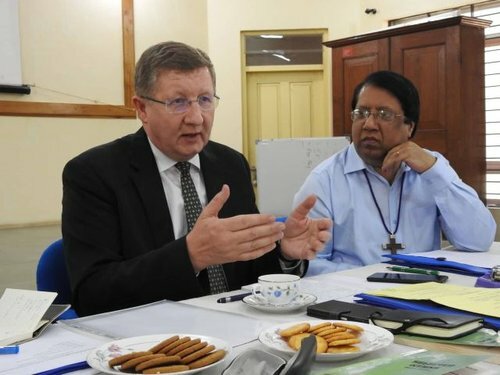 Zsigmond Vad, attended the celebrations of the Presbyterian Church of Korea and the Presbyterian Church in the Republic of Korea, where he met the delegation of the Karnataka Northern Dioceses. In April 2018, the Transtibiscan Reformed Church District decided to support the children’s’ home where children from families in deep poverty go to learn. The purpose of the visit was to learn more about these institutions. The Church of South India (CSI) works to overcome the caste barriers and promote women and girls. Alongside CSI, the Evangelical Mission in Solidarity (EMS) works with the Churches’ Council for Child and Youth Care (CCCYC) and theological seminaries. Children, and particularly girls, often lead difficult lives in India. The facilities offered by the Church of South India (CSI) allow many to escape child labor and oppression. In order to provide these girls with better life prospects, EMS is increasingly supporting girls' homes in India. Regardless of whether they are from Christian, Hindu or Muslim families, they all live together in the homes and come to understand and respect one another. The children are able to gain a sense of security provided by the home and to attend school. The main objective of the Indian children's homes is to give their fosterlings a good education and to provide them with better prospects for the future. Through daily routines and the performance of small tasks, they learn to take responsibility for communal and friendly cohabitation. In cooperation with the respective dioceses, EMS assumes responsibility for seven homes and two educational centers. The delegation visited fifteen church-run institutions, including kindergartens, schools, and a vocational training school. In India, because many people travel with old vehicles and clothes are always in need, these vocational trainings, teaching girls to tailor and boys to repair engines, help the young people to make a living on their own. In addition, the delegation also visited one of the prestigious colleges in the state and a hospital. 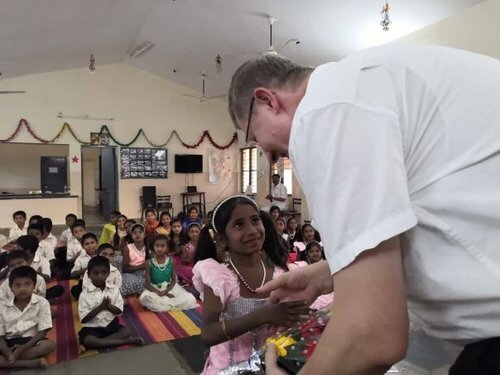 At the consultation with the church leaders, Bishop Károly Fekete announced that the Church District will launch a fundraising campaign in support of diaconal-social service projects, the children’s home and orphanages run by the Karnataka Northern Dioceses of the Church of South India. During the visit the Bishop had meeting with H.E. Mr. Gyula Pethő, Ambassador of Hungary to India and Dr. Zoltán Wilhelm, director of the Balassi Institute, Hungarian Information and Cultural Centre in New Delhi. The Transtibiscan Reformed Church District was established in 1557 by the Synod of the churches of the Debrecen-Nagyvárad and the Szatmár regions. In the beginning it was called “Cistibiscan” from the Transylvanian viewpoint, but after the 1664 Synod of Szatmár the name “Transtibiscan” came into general use, reflecting the western viewpoint. Today this is one of the four Church Districts of the Reformed Church in Hungary of which the Bishop’s Office is located in Debrecen.